Westbury Aluminum Railings from Security Fence Company add a level of beauty, distinction, and lasting value to your home. By selecting the color that fits your home or building, you are adding beauty. By selecting the design that fits your lifestyle from the many styles available, you are adding distinction. 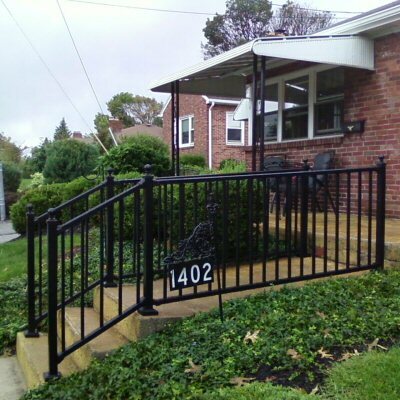 By selecting one of our virtually maintenance-free aluminum railing systems, you are adding lasting value. We welcome you home with Westbury Aluminum Railing.